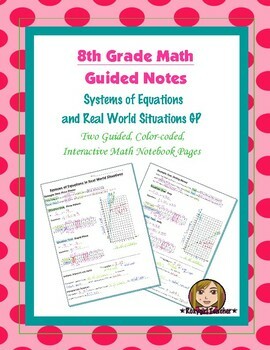 This is two 8th Grade Common Core guided, color-coded notebook pages for the Interactive Math Notebook on the concept of Solving Systems of Equations by Graphing and Real World Situations. 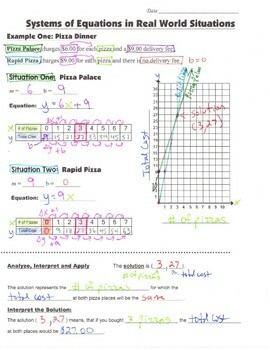 Included are two guided practice situations and solving systems of equations by graphing using multiple representations. 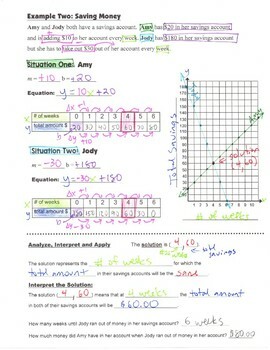 The notes include interpreting what the solution means in context of the situation and what it represents in the real world situation.